Unlike other guides, which provide isolated individual photographs or illustrations, this is the first book to feature large, lifelike scenes for each species. These scenes, 640 in all, are composed from more than 10,000 of the author's images showing birds in a wide range of views, near and far, from different angles, in various plumages and behaviors, including flight, and in the habitat in which they live. These beautiful compositions show how a bird's appearance changes with distance, and give equal emphasis to characteristics experts use to identify birds: size, structure and shape, behavior, probability, and color. This is the first book to convey all of these features visually--in a single image--and to reinforce them with accurate, concise text. Each scene provides a wealth of detailed visual information that invites and rewards careful study, but the most important identification features can be grasped instantly by anyone. Richard Crossley is an internationally acclaimed birder and photographer who has been birding since age 7 and who, by age 21, had hitchhiked more than 100,000 miles chasing birds across his native Britain and Europe. His love of the outdoors and his interest in teaching, design, and technology have shaped his unique vision for the future of birding and bird books. He is excited by the prospect of using new technologies to bring 'reality birding' to a wide audience through many different media. He is a spokesperson for Nikon Sports Optics and coauthor of The Shorebird Guide, and lives with his wife and two daughters in Cape May, New Jersey. 'A major innovation in identification guides in that it is designed to teach you to see differently. If you follow the program, this book will make you a better birder. 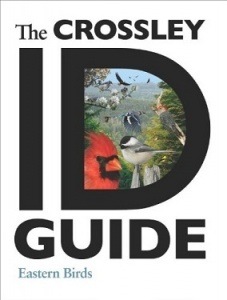 Following the British practice, the Crossley Guide is intended for study at home--not as a field guide. . . . This is for anyone who wants to improve his or her birding skills.' --Wayne Mones, Audubon blog.